Why is nobody performing operas by female composers? New York's Metropolitan Opera has just announced its first production of an opera by a woman since 1903 – why aren't the major opera houses paying more attention to the thrilling work of female composers? 1625, Florence, Italy: the latest opera is about to be performed at the Tuscan court. The Liberation of Ruggiero from the Island of Alcina is a crowd-pleaser, packed with magic, battles to the death – and dancing horses. The lavish work, one of the first operas ever written, was penned by the highest paid musician at the court of Tuscany – and her name was Francesca Caccini. Fast-forward 400 years and you’ll be lucky to find a single opera by a female composer being staged in any major opera house anywhere in the world. In fact, New York’s Metropolitan Opera has just announced that it will stage, Kaija Saariaho’s L’amour de Loin, its first opera by a woman since 1903 (Ethel Smyth’s Der Wald was the last). And you’ll search in vain for a production of an opera by a female composer in the opera houses of the UK (with the notable exception of WNO’s staging of Figaro Gets a Divorce by Elena Langer later this month). 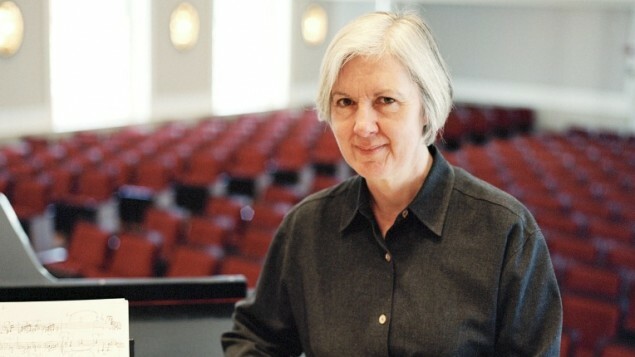 There have been operas penned by women throughout the centuries by the likes of Princess Amalie of Saxony (1794-1870), Germaine Tailleferre (1892-1983), Ethel Smyth (1858-1944), Judith Weir (pictured below), Roxanna Panufnik, and Unsuk Chin – we could go on. There’s no doubt opera houses are taking risks – and that audiences are willing to go along with them. There are new – or newly discovered – operas being staged across the UK, from the obscure French comic opera L’Etoile at the Royal Opera House, to a brand-new opera by Mark Simpson at Opera North this season. But wouldn’t it be great to have more Weir mixed in with the Wagner, more Panufnik alongside Puccini and more Tailleferre jostling with Tchaikovsky? We can’t do anything to change the dominance of male composers on the opera stages of the past, but we’re lucky enough to live in a time when women are writing some of the most exciting music around. Let’s give their work the space – and attention – it deserves. And I for one would be keen to see a revival of The Liberation of Ruggiero – not least for those dancing horses.